Below is the agenda for this year’s Member Meeting. You can download a PDF copy here. Please note this is subject to change. Discounted overnight rooms are available for August 5 & 6 at $199/night so book today. Deadline to book these is Monday, July 16th. 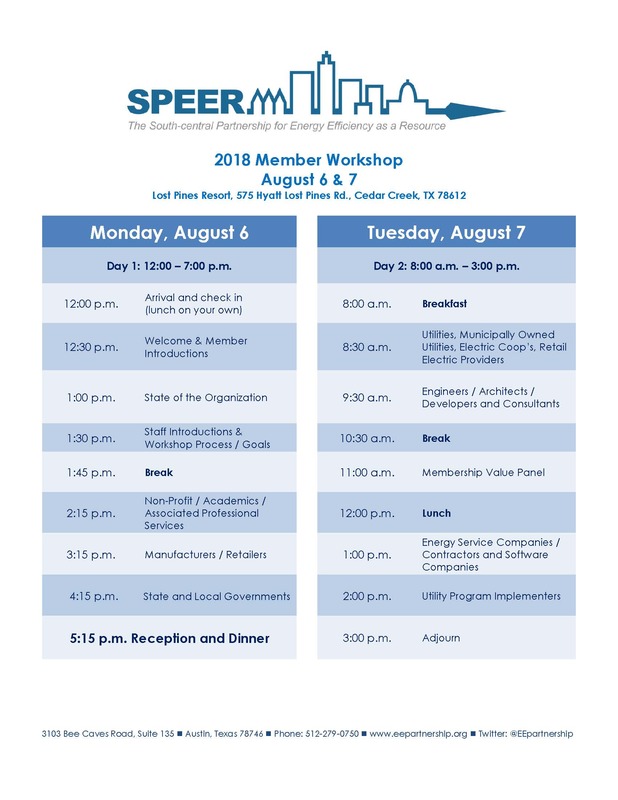 **Please note that this event is free for all SPEER member companies and we encourage you to bring 2 attendees per company!